Very few people think of John Cena as a second-generation wrestler, but that's because they don't know that his father, John Cena, Sr., was actually a small-time promoter and personality in the Massachusetts area under the ring name Johnny Fabulous. He didn't gain any notoriety to speak of, which is why his kid wrestles under his own name and not "Johnny Fabulous, Jr." or "El Hijo de Johnny Fabulous" or whatever. 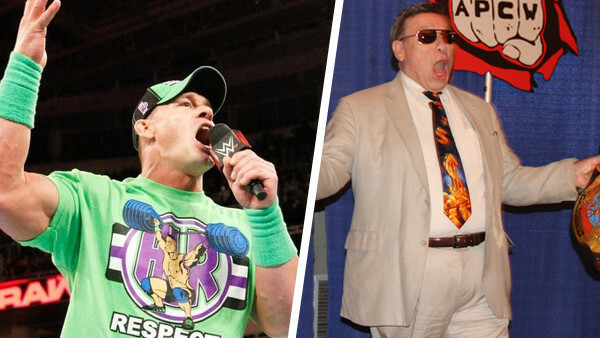 After his son started collecting WWE championships, John Cena, Sr. began making appearances on the New England independent circuit as... John Cena. And while it's hard to argue that the man shouldn't be able to use his own legal name, come on. If you're a local wrestling promoter and you advertise that "John Cena" is appearing on your show, you know that fans are expecting the "You Can't See Me" guy, not his sexagenarian father who's old enough that he maybe literally can't see you. John Cena himself (the famous one) eventually told his old man to knock it off, and Cena, Sr. went back to his old Johnny Fabulous moniker. Remember this fiasco the next time you roll your eyes at your dad's bad jokes - it could be worse.